New World Stables is a small, private barn that provides quality boarding, teaching and training with an emphasis on dressage. Horsemanship is included in every lesson. Clients are primarily adults, though children 11 and older are welcome. 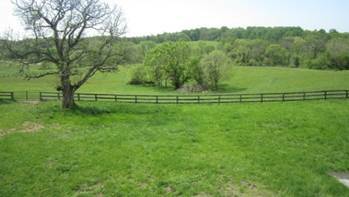 Located on Reichs Ford Road, the farm covers 10 rolling acres and has fabulous views in all directions. Matted stalls are well ventilated with surrounding grillwork. Horses can see their neighbors and don't feel boxed in. Turnout is a mixed herd rotated through grass pastures. NO ROUND BALES. NWS amenities include a 7 stall bank barn, which is cool in the summer and warm in the winter. The dressage arena is lighted and has all weather construction and footing. High quality hay and Southern States feed. Huge tackroom with bathroom. Debra lives on the property so keeps an eye on everything. ​A beautiful property with beautiful views in all directions. Boarding … Full service board in large, well ventilated stalls. Lessons … Private lessons on your own horse. Also available are 1st and 2nd level school masters for a small fee. 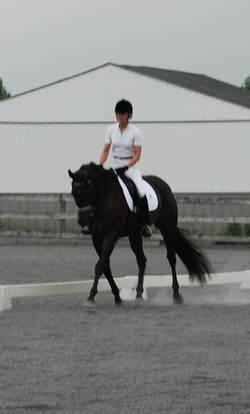 Training … Debra is available to teach the movements to your horse. Practice Rides … add a practice ride on your favorite horse to improve your rate of progress. Coaching … have Debra help you at one of the many shows in the Frederick area. Drill Team ... Join our drill team rides. Especially fun in the winter.